By written request to: Wychwood Surgery, Meadow Lane, Shipton-under-Wychwood, Chipping Norton OX7 6BW. Requests will be regularly downloaded and you will be contacted if there are any queries. Please give at least two working days' (this does not include Saturday or Sunday & Bank holidays when the surgery is closed) notice for your prescription to be prepared. Requests ordered after 13:00 on Friday may not be ready until the following Tuesday after 17:00. 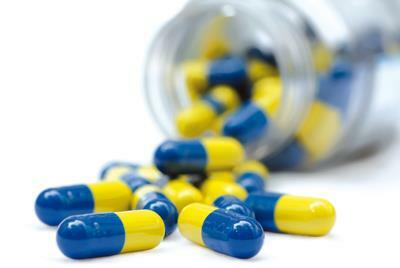 Prescriptions may be collected from the pharmacy located within the surgery between 09:00 and 13:00 & 14:00 and 18:00. For those who unable to get to the Pharmacy we may be able to arrange for you medication to be taken to Ascott Village shop or Leafield Village shop please ask when making your repeat request. If you have run out of your medication or need to discuss your medication urgently please telephone the pharmacy [01993 833243] and ask to speak to the dispenser and they will try to help you or discuss with the duty doctor if relevant. We are asking you to allow a minimum of 2 working days [not including Saturday or Sunday or Bank holidays) before you collect your medication. This is to allow for the surgery to process your request and then the pharmacy to dispense your medication. Due to the change from a GP Surgery Dispensary to a Community Pharmacy there are some changes in the way your repeat prescription requests are handled and this means that whilst we have always asked for you to allow 2 working days to process your request it was often ready in less than that time. Under the new arrangements your request has to be processed by the surgery and signed by the GP before it goes to the Pharmacy for processing and therefore we have to request that you do allow 2 full working days before you come to collect your medication. Please ensure that you book an appropriate appointment to avoid unnecessary delays to the dispensing of further prescriptions.